When I first saw the Smash Bros. trailer that revealed Rosalina as a playable character, I honestly thought it was a Kirby reveal for Mario Kart. And, why not? I thought. Kirby would be a very cool unlockable character for the racer. I’m not the first person to say that the concept of Super Smash Bros. should translate to other genres of games, but I really want to expand on the idea here on my blog. How cool would it be if the various Nintendo franchises in Smash Bros. made up the world for the next Mario Kart-type game? I think that green koopa shells, bananas, and lightning bolts should remain as is. Red koopa shells should be replaced by Homing Missiles from the Metroid franchise. This is everything I’ve been checking to make sure my social media is shiny and sparkling before I attempt to gain the public’s eye with my Young Adult novel. I wrote this list so that other writers might benefit from the work I’ve been doing for myself. I wrote a pretty extensive blog post aboutwhat I called Social Media Wrangling, which you can find by clicking on thissentence. -----People will see the list of people you’re subscribed to on YouTube, and they will think your list of subscriptions represents your opinions. Are you subscribed to FartDancer380? People will think you enjoy his work. -----Same with YouTube. If you’re following ILovePot_29, people will think you are a pothead (FYI, I’ve never done a non-medical drug in my life, but I wanted to use that example). Will parents want their children reading books from a person they think is a pothead? No! 5. Tumblr, Myspace, Blogger, Livejournal, Xanga, etc. -----Find those blog posts that you wouldn’t want your mother to read, and delete them. Also, for YA writers like myself, consider axing out any vulgar language. 6. Google all of the screen names you’ve ever used. -----Find out where you’ve made a profile. If you’ve got an account on an embarrassing website, it might be time to delete it. Yes, that might mean deleting your My Little Brony account, the Miley Cyrus Forever Fanclub blog, or even that good old Club Penguin profile. Look for these smaller, fansites. This is where embarrassment lives forever, lol. 7. Check the YouTube videos you’ve personally uploaded. -----Anything you’ve said that is not apart of your authorial message? Have you vlogged about anything so overtly political that it would keep someone from purchasing your book? 8. Remember, especially for YA-childrens-teen authors, kids will see the stuff you write online when they Google your name. -----If you write Harry Potter but then write something awful online, kids will be listening/mirroring your awfulness. -----Nobody buys a book for a kid from a potty mouth. 10. Check all of your Tweets. -----You might consider privatizing or deleting your old profile and making an entirely new one once you’re a published author. However, if you’re under 100 tweets, you might be able to go back and delete the bad ones. 11. Remember, just because you’ve privatized social media, doesn’t make it private. -----Truth. If you become a famous author, your friends might sell access to your personal facebook profile. If over a hundred people can see what you’ve made “private,” then it’s not really all that private. Making your profile for “Friends only” is not keeping your facebook truly private. 12. Reviews/critiques of other novels and stories. -----Your Amazon account. Your Goodreads. Your blog. Have you ever slammed another author / publishing house / etc. over a particular book you didn’t like? Have you gone on Amazon and given 1 star to another author’s work? If so, what do you think that more-famous-than-you author is going to do to your book? Do you think they’re going to give you a positive cover-quote? If you meet them at a party, will they kindly help you promote your book? Will a publishing house that you’ve deeply criticized publish your book? No, no, no… If you’re a aiming to become a known creator, you cannot start out by being a critic. You need friends, not enemies. Sure, Stephen King can say whatever he wants about whoever, but you? You need whoever you can keep! Be positive. Keep your positive reviews! Delete your negativity! Unless you’re famous already, being a downer is not going to make you any friends! 13. Check your favorites lists and quotes. -----Do you want the public to know about your passion for the movie, “Jack’s Drug-Induced Adventure Through Stonerland?” No? Then take it out of your favorite movies list. Your favorites list indicates something about you. Check everything you’ve “liked” on facebook. Look at your interests page. Delete the stupid stuff. Check your quotes, too. Don’t leave terrible quotes you and your fraternity brothers made up one drunken night. Don’t quote world leaders that will incite anger because you didn’t know that they were evil—know who the people who quote are and the context surrounding the quote. Just because someone says one good thing does not mean that that person was a good person. 14. Check the other things you have written and published online. -----If you’ve written erotica in the past (I have not, it’s just an example), you’re going to have to deal with that before becoming a children’s writer. Same goes for weird fandom lit. 15. Check your browser’s bookmarks. -----Bookmarks are a great way to find a bunch of embarrassing things you’ve left on the Net. 16. Check your OKCupid and other dating website accounts. Thank you for reading. I hope this helps you reach your goals. I will be adding to this list as I think of more things I can do to improve it. If you have more ideas, PLEASE share them in the comments. I will add your ideas and link to your blog/twitter. Click here for a companion blog post about social media wrangling. By making fun of teenagers, this guy has successfully marketed the idea that people should speak without a hint of skeptical modestly. As if "conviction" meant blasting messages loudly and proudly without caring if there is any truth behind the words. Staying open-minded to being wrong about our beliefs is not something we should mock people for. If only MORE people were willing to say that they could be wrong, willing to accept that there could be a flaw in our own logic, we might live in a society more prone to compromise, to listening, to trying to understand one another. The message he's sending is one of aesthetics. He feeds you his message by making you agree that the way people speak sounds bad. It doesn't please the ear, therefore his audience agrees that he must be right about his message. The real message, folks, is about advocating divisiveness. When two people with different views speak loudly and confidently, when they blast each other without acknowledging that there could be other opinions, those two people will argue, not converse. They will fight, not find any sense of mutual understanding. What we need is MORE people willing to admit when they get something wrong. More people open-minded to the fact that they might not be correct. Sure, the way teenagers often use wish-washy speech sounds bad, but it's not a bad thing to speak with modesty rather than bluntness. The Elder Wand is the Cross. A device that can kill anyone—even the son of God, but it cannot truly kill him, and it does not end Harry. The Resurrection Stone is the boulder that was rolled in front of Jesus’s grave. A stone cannot hold the dead back, in the Christian symbolism, and in Harry the stone allows life to return. The Invisibility Cloak is the shroud where Jesus’s body was lain. Jesus’s body disappears on top of it, and in doing so he evades death, much like in the Tale of Three Brothers. The three symbols of the Deathly Hallows is representative of the Holy Trinity. I drew this idea for new Pokemon, and I honestly cannot believe that Nintendo didn’t come up with this on their own. Some Pokemon, like Escavalier and Shelmet, evolve by swapping parts of themselves with other species of Pokemon as they are traded. Sort of a symbiotic thing. 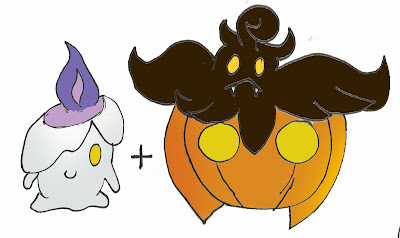 Anyway, there’s a candle monster, called Litwick, and a pumpkin one, called Pumkaboo. They each have separate evolution lines, but I had an idea. What if they evolved in that armor-swapping way? 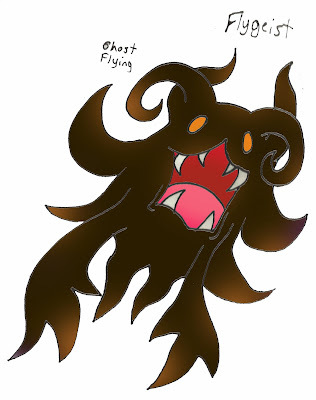 I envisioned the ghost part of the pumpkin escaping and evolving into Flygeist, as if it were a ghost flying away from the pumpkin it escaped from. 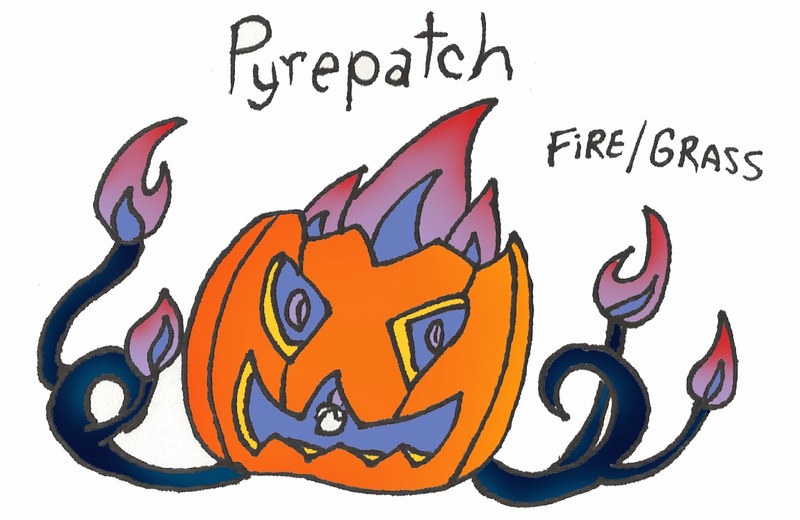 Then, a different ghost, Litwick, gets trapped in the jack-o’-lantern and becomes Pyrepatch, a fire / grass type. I drew all of these pictures, by the way. OK, just joking about the applications part. There’s no application, but I do really wish I had more writer friends to swap criticism with. I dream of finding that perfect friend who also takes writing as seriously as I do, and who provides fantastic feedback (and wants feedback in return). So, just for fun, I think I’m going to put this into words. What would my perfect crit partner be like? Rosy cheeks, no warts. Play games, all sorts. OK, srsly. A good sense of humor. Someone I can be friends with irl. The ability to take criticism is fundamental, as is the ability to provide it. If you tear up at the mention of a misplaced comma, then this application is not for you. I have an iron gut for criticism, and I don’t like being buttered up as much as given an honest review. I believe all criticism is useful, no matter how fierce or nerve-touching (although, I don’t consider myself to be a harsh critic, I love it when others are harsh critics to me). Even if I disagree with you, I will still respect your opinion of my work and will consider it genuinely. Often times, it seems like if I let particularly harsh criticism sit with me overnight, I come out seeing it from a different perspective. That said, it’s also important that crit partners generally enjoy each other’s writing (and are near each other in skill level, so I don’t get jealous if you’re better than me or vice versa). I suppose that would come on a read-for-read basis. If you happen to read this and want to trade examples of writing, email me (oxyborb@gmail.com). We can swap chapter 1s, and then either say “yes” and continue or “No, we’re not a match” with no hard feelings. I generally write fantasy and horror for young adults, and that’s also what I generally read. My perfect critique partner would be working on a longer, novel-length project. I generally write novels, so I would feel bad asking for advice on something longer if you’ve only given me a piece of flash-fiction. I would love it if my crit partner lived in the St. Louis-area. I live in Belleville, IL, which is across the river (but I could still drive out to STL). I would prefer someone that I could actually meet and chat with at a café than a faceless person over the Internet. My perfect crit partner would produce a great deal of content, regularly. I write heaps of stuff, so it’d be nice to find someone who throws just as much stuff back at me. I often feel like I ask too much of people, because nobody else is as crazy about writing as I am. It’d be cool to find someone who shares my compulsion for constantly working on new projects. Also, my novel, The Unraveler, is a teen fantasy. You can read about it by clicking here, but I'll just say that my style is aiming to be somewhere between Stephen King and JK Rowling, not that I'm comparing myself to them, but that's the kind of feel I am working toward. Something creepy, yet with light-hearted, goofy moments. For teens. I love horror, disturbing, scary moments, but I also love the feeling of exploration you get from first setting foot into Hogwarts. Get it ? The Unraveler aims to be like that, with a touch of Lord of the Rings, A Song of Ice and Fire, and a little Pirates of the Caribbean, too. If all those books were blended, it would be The Unraveler. That’s what I’m looking for. If you seem to fit any of that, you should leave a comment or email me. Thanksgiving is over, so I’m going on a diet. Literarily speaking, that is. But all these online writing groups seem to be nothing more than promotional vomit for self-publish authors (*and I’m not talking about the good ones, see below). My facebook feed has recently been bloated with a billion authors who post “Please, PLEASE, PLEEEEEAAAASE buy this” twice a day, usually to each of the ten groups I’ve recently joined. It’s spam. This blog once made a fantastic term for what these people are wishing will happen when they post spammy links to Amazon: a book-sales button. It’s like they think that if they just spam enough, people will buy the book. Think I’m exaggerating? Look at the screen capture on the side of this paragraph. It was my facebook newsfeed. This is real, only edited to delete the dude’s identification, and, you know what? It was only as much as would fit on my screen. I had about twelve posts from him on my newsfeed, all in a row. This guy posted like 10 times a day, spamming his books (I had to block him), but it wasn't just him. It's a ton of others. Spammers. Throwing links out onto writer's groups as if they'll find the secret magic to sales. But that’s not how that works! Social media needs to be about making connections with other people. You know, being social. The best authors can get me to buy their book, based solely on the personalities they present through social media. Well, who’s going to fall in love with the personality of a telemarketer? Nobody! Spam is not going to work! Build real, personal connections, not a list of people blocking you! For a while I thought it was all about trying to get a certain number of Twitter followers by Tuesday, but I had an epiphany: Quality is better than quantity. Why would I follow a thousand FollowBack spam accounts? To get my numbers up? Pish! I would take a hundred people who are actually interested in The Unraveler (and willing to recommend it to friends) over a thousand spam accounts following me (who don’t care whatsoever, except that you’re following back). When my book gets published, then I’ll get followers the natural way. From people who actually care about what I have to say because they’ve read my novel and want to know more. So, I went off on that sidetrack because so many of these self-publish spammers have had, “Free, limited download offer” as promotion to their book. Just to see what these sorts of books were like, I downloaded a bunch. I read bits and pieces, but I realized something: Many of them had spelling errors on the first page. Many were formatted strangely. Many were littered with very simple problems that would have been caught if it were edited. So many of these authors claimed to be “fed up” with querying, and so decided to self-publish. And that brings me back to my philosophy: When I finally decide to submit my novel to agents, I want my manuscript to be as near ready-for-print as possible. I think that’s the dedication it takes to find success. So many authors want it all now, like Veruca Salt. They think they’ve gotten the golden egg, but it melts in theirs hands. I guess what I mean is that they don’t put in that extra effort. *I don’t mean to sound arrogant (that sentence always sounds arrogant, haha). I completely respect self-published types, and I’m not talking about all of them. I’m saying that there are those who just want to turn text directly into profit. Those that don’t take the time to make a product that is worth purchasing. If you write a poem on Saturday, don’t sell it on Sunday. Iron that thing out! Make it snappy. Fix the simple spelling errors. Use quotation marks for dialogue. Those sorts of things. Don’t blame the agents for hating your work if you’re not willing to make your work shine! That said, I’ve returned to the beginning. This must be the twelfth time I’ve read my novel in full. I think, with my last draft completed, my structure is refined. My characters are individuals. My plot is perfected. So, this new draft is going to be about cutting the fat. I feel like I was better about this as I wrote, so working through my first chapter has been a fun challenge. I’ve been tearing out hundreds of words from it. Oiling the transitions. Making sure that the excitement builds from the get-go. Making my writing snappy yet flowing. Removing any data dumping or details that are irrelevant to the plot. And it’s been good. Really good. I’ve never been more confident in my beginning. I look at it and see intriguing part after intriguing part, with no fat in between (and it wasn’t always this way). It’s hard to cut the fatty parts you love. Little details that are unneeded yet loved. Breaks your heart, but breaking it is the only way to heal. Haha. It’s been extremely hard work. Beyond that, with all my friends in town for Christmas (that’s how the Midwest works, everyone goes away and comes back for the holidays), I’ve been shooting YouTube videos on the side. I’m actually writing a movie script, which I hope to film this month. 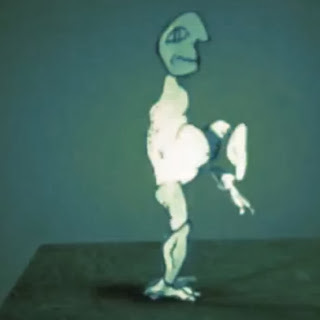 I also plan on doing some stop-motion animation and make some new music videos! 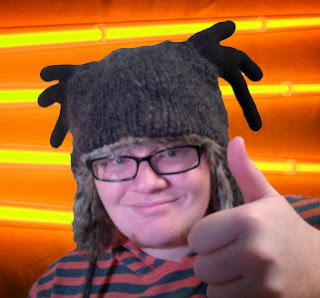 Doing other things helps me be refreshed enough to continue the editing, so it’s great! Over New Years, I’m going to be traveling to DC for MAGfest, which I’m really excited about. I have so much going on, it’s great. I love keeping busy. Anyway, you’re great. Really. If you’ve read to this point, consider me your number-one fan. Please, since you’ve cared so much about me, leave a comment and tell me about you! I would love to see who is reading this and check out your projects or blogs (or, if you’re in St. Louis-area, I still have open roles for my movie, you should join up). That’s all for now! Keep being awesome! This is not a blog about weight loss. This is a blog about doing nerdy things. I promise. Today is the day I decided I want to get back on track. For two years, I was strictly losing weight. I had moved to Seattle, where I walked often, ate far more veggies, and practiced healthier living. Seattle is the kind of place where sometimes you don’t have a choice but to eat vegan, and it really did help me out. 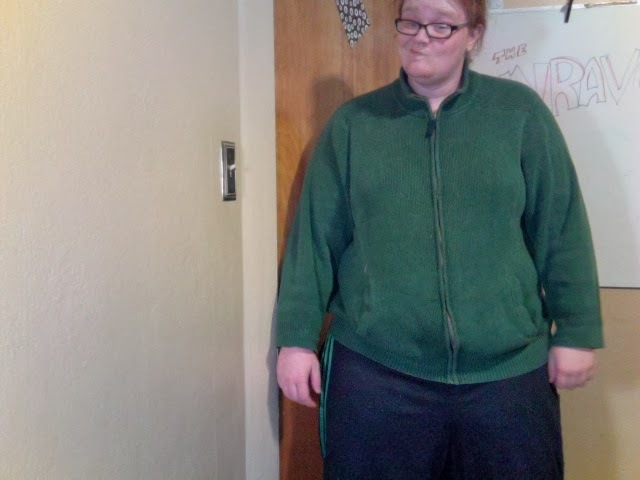 During my two years in Seattle, I dropped about 30 pounds. I felt healthier. My blood flowed faster. My energy was up. Then I had a little divorce things happen, and I left Seattle. I came back to the Midwest—a place of fried chicken and apple pie. I stopped caring about girls completely (I was having post-breakup bachelor-freedom syndrome, haha), instead reverting to playing Diablo 3, writing, and working a new job. So, I sort of stopped caring. I mean, when a guy isn’t looking for a girlfriend, he’s probably eating pizza and playing videogames. Typically nerd.